Most families have hobbies and activities that they share together like family camping trips, trips to amusement parks, or movie and nights, but for one Harris County family it seems that conventional bonding experiences would not suffice. Instead, the Wood family, spearheaded by parents Raymond and Stephanie, has allegedly decided to take up selling and possibly using drugs. Harris County police allegedly found a wide array of drugs including marijuana, cocaine, morphine, and Xanax, in addition to discovering illegal weapons such as a sawed-off shotgun. The youngest member of the Wood family is 18-years old, meaning that the entire family is facing adult drug charges, possibly leading to fines and a prison sentences. The next holiday destination for the Wood family is quite possibly the hoosegow. Drug charges in Texas vary depending on the type of drug and the amount of the drug found at the time of arrest, which is determined by weight. The charge and penalties may also vary depending on whether you are charged for possession, consumption, and sale of the drug. In Texas, drugs are also divided into Penalty Groups; 1, 1a, 2, 3, and 4. 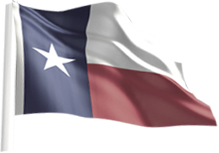 For a list of the drugs as they are categorized in each Penalty Groups, you can visit Texas’ Legislative website at http://www.statutes.legis.state.tx.us/. If, however, you are charged with possession with the intent to distribute, your punishment will be significantly harsher since the circumstances are considered to occur under aggravated factors. Once you have a drug charge on your criminal record, the charge will stay on your record until you actively have the offense and related case expunged from your criminal record. Fortunately, you may be eligible to have your drug related charge expunged, which will allow you to legally deny the occurrence of the drug offense and related charges. A Successful expungement in Texas will also prevent the charge from appearing on criminal background checks for employment and housing. In Texas, a granted expungement will seal and destroy your records of the arrest and court case so that the public, including future employers, cannot view your records.